GUADALAJARA, Mexico, Dec. 3, 2010 – 2010 U.S. all-around champion Julie Zetlin of Bethesda, Md., won the all-around title at the 2010 Pan American Rhythmic Gymnastics Championships in Guadalajara, Mexico. The U.S. Team won the rhythmic gymnastics team silver medal. The United States qualified for both individual and group rhythmic gymnastics for the 2011 Pan American Games in Guadalajara. Individual event finals are Dec. 4-5. 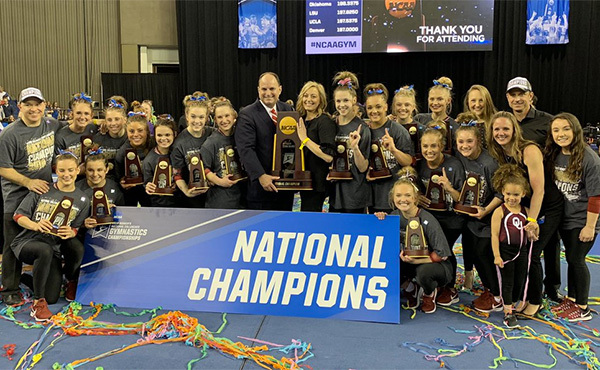 Both Zetlin and Shelby Kisiel of Houston/North Shore Rhythmic Gymnastics Center, will compete in all four individual event finals, and the U.S. group will compete in its two event finals. Zetlin, who trains at Capital Rhythmics, posted a total score of 98.600 to win the all-around title. She earned the top scores on hoop (24.825), ball (24.575) and ribbon (25.150), as well as the third highest mark for rope (24.050). Kisiel finished just off the podium in fourth place at 93.100. Her individual event scores were: hoop, 23.425; ball, 23.250; ribbon, 23.350; and rope, 23.075. Anastasia Torba of Orinda, Calif./Allegro Rhythmic, earned a 23.200 for her ribbon routine, and Olga Pavlenko of Brooklyn, N.Y./Isadora, scored a 22.425 for her ball routine. Mexico's Cynthia Valdez was second at 95.200, and her teammate Vero Navarro was third at 94.150. Mexico won the team title, followed by the United States and Brazil. Canada won the group title. The USA finished fifth. 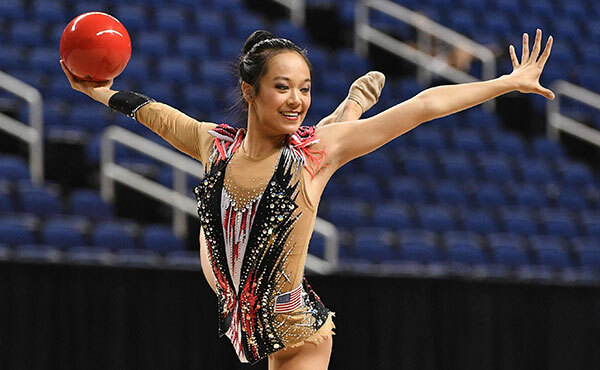 The U.S. group, which trains at North Shore Rhythmic in Buffalo Grove, Ill., includes Jessica Bogdanov, Megan Frohlich, Michelle Przybylo, Sofya Roytburg, and Sydney Sachs. 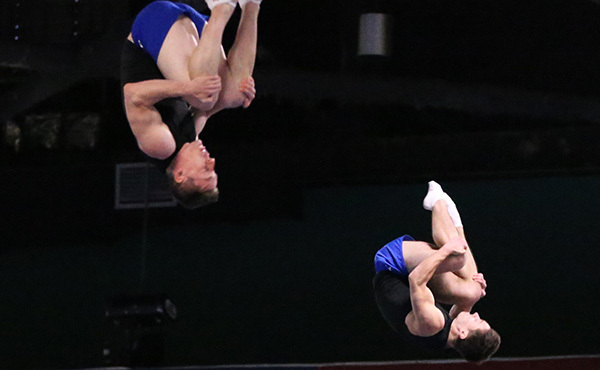 The remaining schedule for the Pan Am Championships is: Dec. 4 –individual event finals for rope and hoop and group (five hoops) at 6 p.m.; and Dec. 5 - individual event finals for ball and ribbon and group (three ribbon/two rope) at 6 p.m. All times are local in Guadalajara. Qualification for the Pan Am Games is by country not an individual athlete and is based on rankings after the preliminary round. For individual, the countries that finish in the top six of the team rankings qualify for two gymnasts for the Pan Am Games. 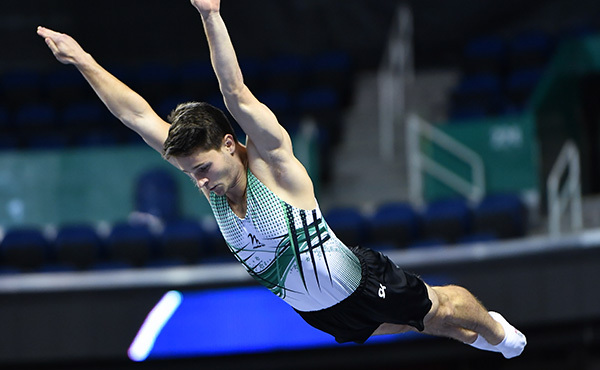 An additional four gymnasts will qualify their country based on rankings in the all-around prelims. For group, the top five countries in the rankings qualify for the Pan Am Games. 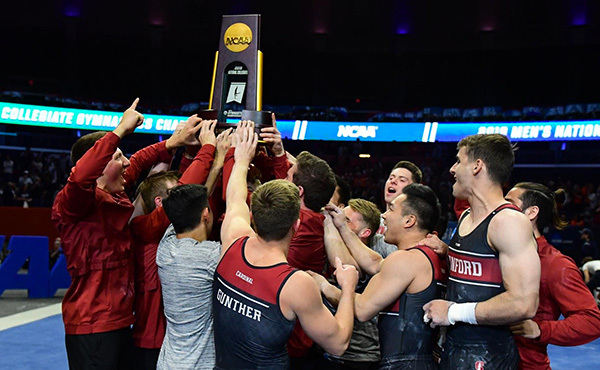 For complete results, please visit the event's schedule and results page. You can also view some of the action Live through Justin TV on the Pan Am Games website.